The Seattle Mariners head to O.co Coliseum on Wednesday, September 27, 2017 to take on the Oakland Athletics. The expected starting pitchers are Erasmo Ramirez for the Mariners and Kendall Graveman for the Athletics. The odds for this matchup have Seattle at +120 and Oakland at -130. The Mariners have a 73-79-5 over/under mark and a 68-89-0 run line record. The Athletics are 82-74-0 against the run line and have a 82-70-4 over/under record. The Mariners have a 76-81 overall record this season. Starting pitcher Erasmo Ramirez has a 5-6 record with an earned run average of 4.35 and a WHIP of 1.14. He has 107 strikeouts over his 126.1 innings pitched and he's given up 115 hits. He allows 8.2 hits per 9 innings and he has a FIP of 4.46. The bullpen has an earned run average of 4.01 and they have given up 507 base hits on the year. Teams are hitting .239 against the bullpen and they've struck out 527 hitters and walked 205 batters. As a team, Seattle allows 8.7 hits per nine innings while striking out 7.7 batters per nine innings. They are 15th in the league in team earned run average at 4.44. The Mariners pitchers collectively have given up 1,354 base hits and 690 earned runs. They have allowed 230 home runs this season, ranking them 4th in the league. Seattle as a pitching staff has walked 479 batters and struck out 1,200. They have walked 3.1 men per 9 innings while striking out 7.7 per 9. They have a team WHIP of 1.31 and their FIP as a unit is 4.71. As a team Seattle is hitting .258, good for 14th in the league. The Mariners hold a .421 team slugging percentage and an on-base percentage of .325, which is good for 16th in baseball. They rank 13th in MLB with 8.8 hits per game. Nelson Cruz is hitting .287 with an on-base percentage of .374. He has 154 hits this season in 537 at bats with 115 runs batted in. He has a slugging percentage of .546 and an OPS+ of 145. 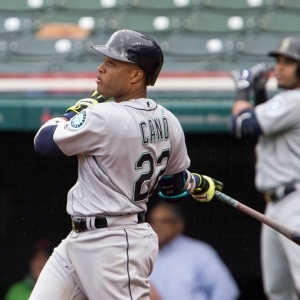 Robinson Cano is hitting .282 this year and he has an on-base percentage of .341. He has totaled 161 hits and he has driven in 94 men in 571 at bats. His OPS+ is 113 while his slugging percentage is at .455. The Mariners have 1,387 base hits, including 272 doubles and 189 homers. Seattle has walked 477 times so far this year and they have struck out 1,234 times as a team. They have left 1,054 runners on base and have a team OPS of .746. They tally 4.62 runs per contest and have totaled 726 runs this year. Oakland has a 72-84 overall mark this year. With an earned run average of 4.17, Kendall Graveman has a 6-4 record and a 1.39 WHIP. He has 66 strikeouts over the 99.1 innings he's pitched. He's also given up 107 hits. He allows 9.7 hits per nine innings and his FIP stands at 4.32. The bullpen has an earned run average of 4.56 and they have given up 504 base hits on the year. Teams are hitting .245 against the Athletics bullpen. Their relievers have struck out 508 batters and walked 199 opposing hitters. As a team, Oakland allows 9.1 hits per nine innings while striking out 7.6 batters per nine innings. They are 23rd in the league in team earned run average at 4.69. The Athletics pitchers as a team have surrendered 1,390 base knocks and 718 earned runs this season. They have given up 203 home runs this year, which ranks 12th in Major League Baseball. Oakland as a staff has walked 486 hitters and struck out 1,160 batters. They give up a walk 3.2 times per 9 innings while they strike out 7.6 per 9. Their team WHIP is 1.36 while their FIP as a staff is 4.57. As a team, they are batting .246, good for 24th in the league. The Athletics hold a .435 team slugging percentage and an on-base percentage of .320, which is good for 19th in baseball. They rank 25th in MLB with 8.3 hits per contest. Khris Davis comes into this matchup batting .242 with an OBP of .331. He has 132 hits this year along with 105 RBI in 546 AB's. He maintains a slugging percentage of .518 with an OPS+ of 126. Jed Lowrie is hitting .277 this season and he has an OBP of .361. He has collected 151 hits in 545 at bats while driving in 67 runs. He has an OPS+ of 120 and a slugging percentage of .451. The Athletics as a team have 1,292 base knocks, including 291 doubles and 226 home runs. Oakland has walked 553 times this season and they have struck out 1,448 times. They have had 1,040 runners left on base and have an OPS of .755. They have scored 4.58 runs per contest and totaled 714 runs this season. Who will win tonight's Mariners/Athletics MLB game against the spread?